1 CD album with 42-page booklet, 22 tracks, playing time 73:51 minutes. Bear Family Records presents the first four albums of the medieval legend on CD. 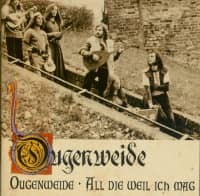 If a German band deserves the credit for combining medieval texts with modern pop music for the first time and making them accessible to a broad audience, then the Hamburg musicians of Ougenweide. 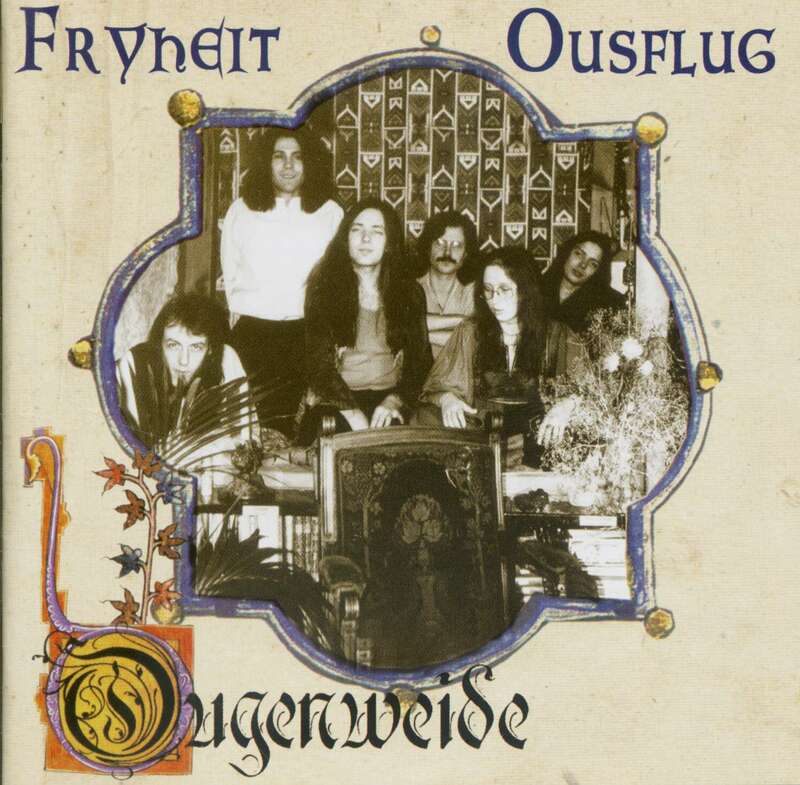 The current medieval boom, especially in the new German states, would not have been possible without the pioneering work of Ougenweide. So it's no wonder that many of today's'medieval' bands love and worship the work of the people of Hamburg. 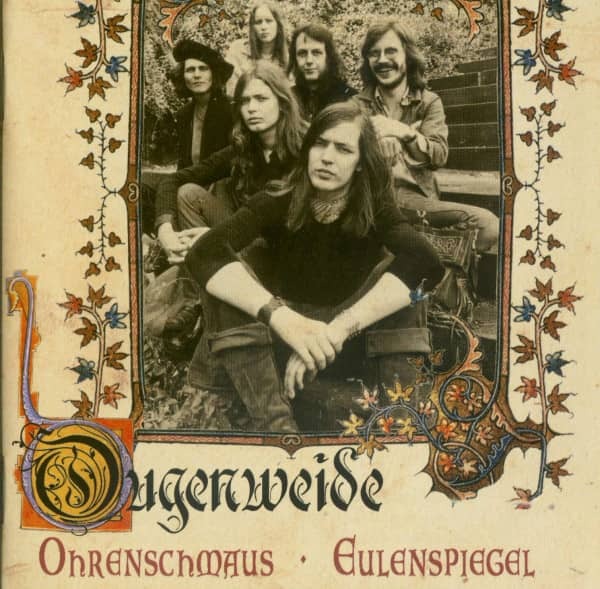 The impetus for the band's "Minne-Rock" came in 1971 in the form of a schoolbook with medieval texts, which the band's founder Frank Wulff and his fellow players Stefan Wulff, Olaf Casalich, Wolfgang von Henko, Jürgen Isenbart and Brigitte Blunck went through and edited. After that the musicians' collective named itself after a term from a poem by the lyricist Neidhardt von Reuenthal Ougenweide. 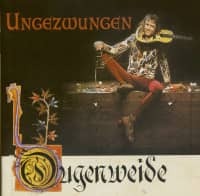 First concerts caused quite a stir, Achim Reichel finally became aware of the band, and in 1973 Polydor released his debut of the same name. 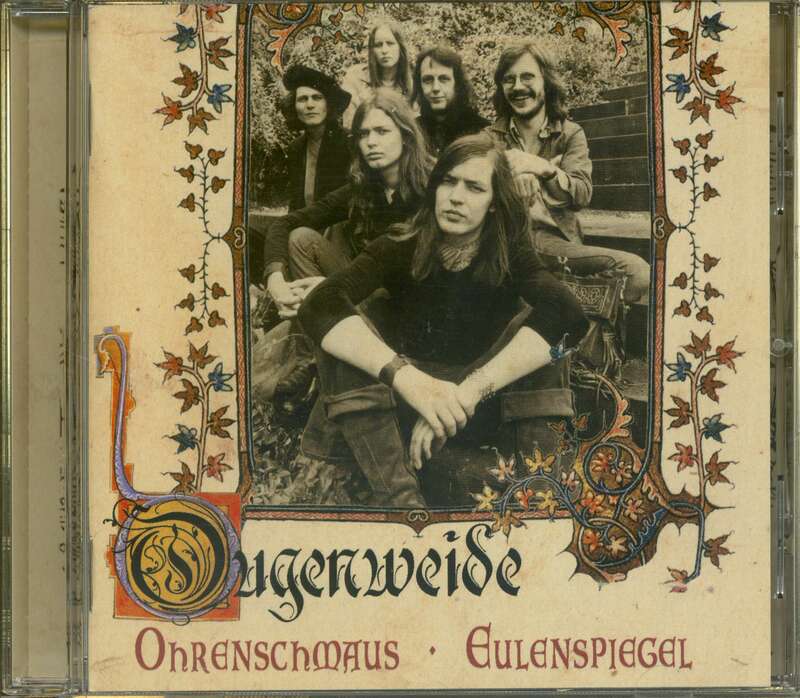 Mostly texts by Walther von der Vogelweide were set to music by the band, among them the wonderful Ouwe. With Der Fuchs the record also presented a first self-written classic, which became the band's song for many fans. According to the music magazine'Sounds' the band succeeded with their debut'a rather successful synthesis of past and present'. 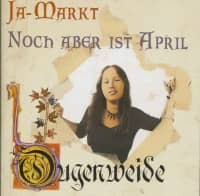 After the release of the record Brigitte Blunck left the band and was replaced by the singer and keyboarder Minne Graw (no stage name!). 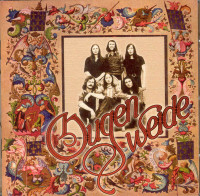 Now Ougenweide had found the classical line-up that lasted until the end of the band in 1982. 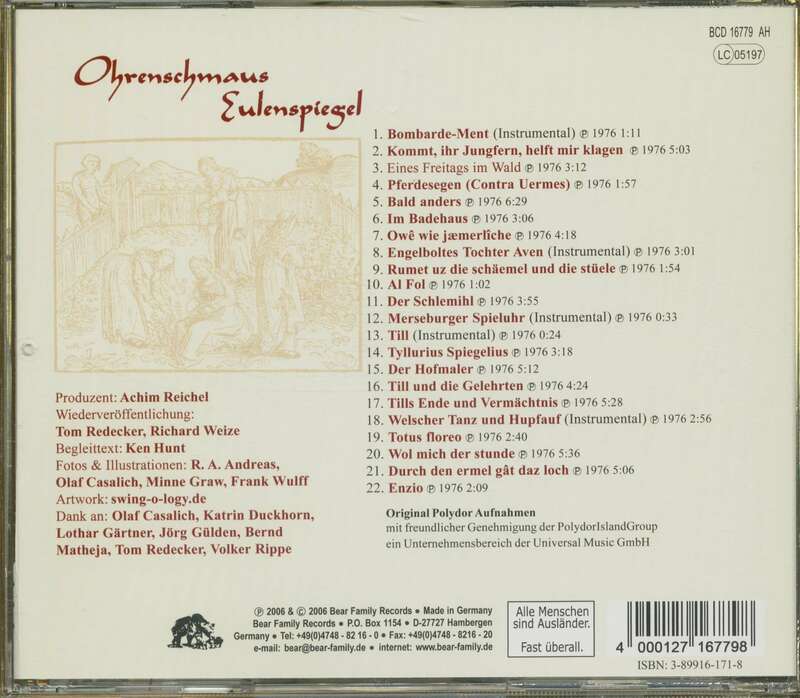 Customer evaluation for "Ohrenschmaus - Eulenspiegel"